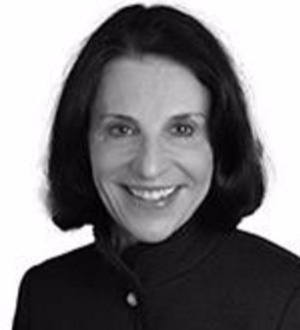 Dr. Seidman has more than 27 years of experience providing strategic counseling on the development and commercialization of patent portfolios for the bio-pharma industry. She has prosecuted hundreds of pharmaceutical, biotechnical and chemical patents, notably patent portfolios involving complex technologies including therapeutic proteins, small molecules, antibodies and diagnostics. Dr. Seidman is recognized for her representation of emerging and developing companies, including private public companies in the biotech and pharmaceutical industries. Her prior experience includes more than 23 years in private practice in various positions and several years as a patent examiner for US Patent and Trademark Office. She also was a post doctoral staff fellow at the National Institutes of Health. Dr. Seidman's honors and awards include recognition in Chambers USA 2015 and 2016 in the area of intellectual property patent prosecution. She is recommended in the 2016 edition of The Legal 500 for her patent work in the area of Life Sciences. She was recognized as a Top 10 Attorney by the San Diego Daily Transcript. She has been named to Best Lawyers – Biotechnology Law 2010 - 2016, and has been an Athena Pinnacle Award nominee every year since 1999. Dr. Seidman is recognized by Intellectual Asset Management (IAM) Magazine's IAM Patent 1000 in 2014 - 2017. Dr. Seidman was honored with the Women Who Mean Business award in San Diego in 2006. In addition, the patent practice that she heads was ranked as tier 1 in biotechnology by U.S. News in 2010.